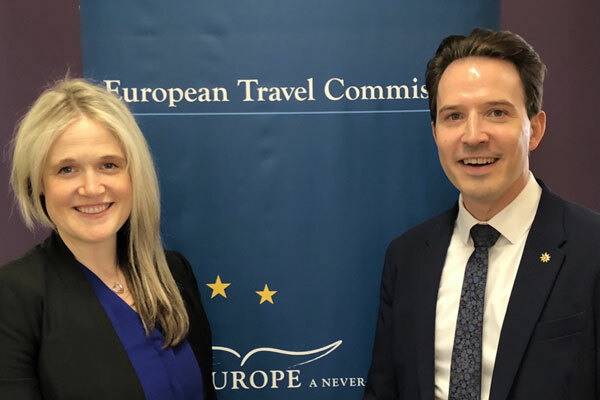 The European Travel Commission (ETC) has appointed Pascal Prinz, director of Switzerland Tourism, as the new vice-chair of the ETC’s Canada chapter. Prinz joins Dana Welch, manager for Canada at Tourism Ireland and chair of the ETC’s Canada chapter. He takes over the vice-chair role from Antje Splettstoesser, former director of the German National Tourist Board’s representation in Canada. As director of Switzerland Tourism in Canada, Prinz is responsible for the marketing of Switzerland as a vacation and convention destination. Prior, he worked at Switzerland Tourism in New York, at the Swiss Ministry of Economic Affairs in Bern and held positions with the Swiss Ministry of Foreign Affairs at the Embassies of Switzerland in Washington D.C. and Berlin. Together Welch and Prinz will steer the activities of the ETC in Canada, whose role is to leverage European destinations’ promotional activities by setting up effective platforms for co-operative marketing, access to market intelligence, exchange of best practices, co-operation and relationships between the Canadian and the European travel and tourism industry.